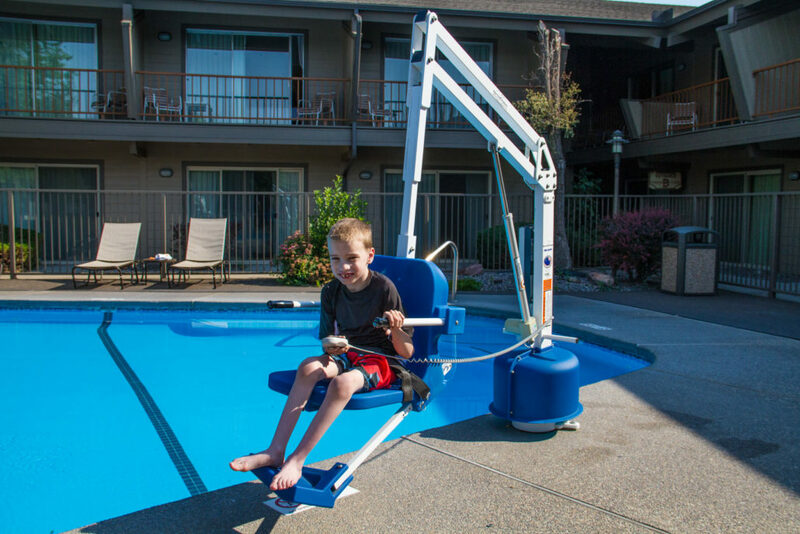 The NEW Scout 2 pool lift features an adjustable seat pole, robust base and a stronger actuator. These upgrades allow for a weight capacity of 375 pounds. The Scout 2 is capable of clearing wall heights up to 11 inches high with the standard foot rest. The optional pull-out leg rest may be used for greater clearance of up to 26 inches on raised or above ground pool and spa applications. This pool lift will accommodate most existing anchors by utilizing adapter sleeves.